Some of the most beautiful verses in the bible come from 1 Corinthians 13. Many Christians may know this passage simply as the love chapter. For me it defines the very essence of Christ’s nature when he gave up his life on the cross for us. Oh, what a world it would be if everyone were patient and kind toward one another when waiting in line for anything. With envy and boasting out of the way, there would be no need for inflation because people would not be comparing themselves with others and desiring what others have. Eliminating arrogance and rudeness from society would do away with people’s sense of entitlement for special treatment. Selfishness would no longer rule. The world would have those who wore tolerance on their sleeves instead of irritability and resentfulness on their shoes. There would be rejoicing in justice and in truth. We would bear with one another and bear with the burdens given to us. We would give others the benefit of the doubt and believe them first. We would hope always and never surrender in the face of our trials. Oh, what a world it would be if everyone loved as Jesus loved when he died for our sins! Sometimes life throws you circumstances you just have to deal with on your own. I have to admit that I have had my trials. I would like to think, though, I have always possessed the fortitude to overcome them. Call it determination. Call it perseverance. Maybe. I call it the will to do whatever it takes to succeed. I have been writing three posts weekly since December 17, 2012. As of next Wednesday, I would have completed 500 posts. I cannot say how grateful I am to have accomplished so much since that humble Monday Mayhem post that started it all. To put it into perspective, 498 posts at 500 words per post comes to under 250,000 words over the course of 3 years. Add to those numbers the three books I have published, weighing in at another 250,000 words, and you can quickly see a pattern. None of it, and I say this from deep within my soul, none of it means anything without you the reader to have visited, liked, or commented on all my work. What can I say other than thank you. You are amazing. 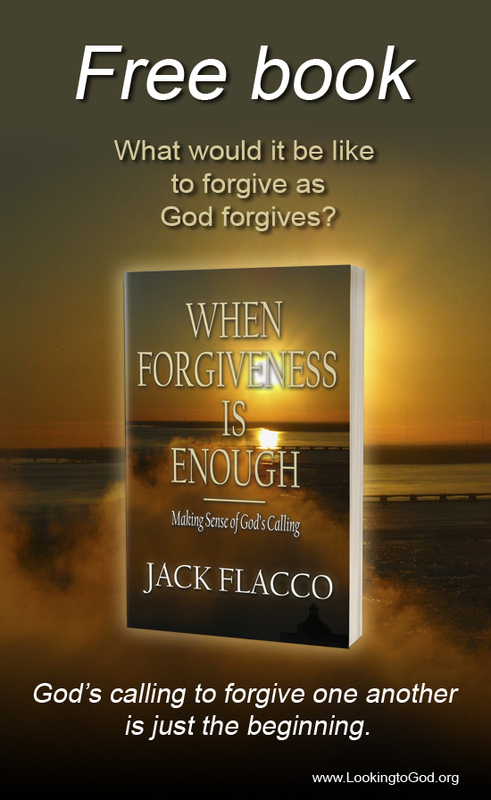 You are the one who has made JackFlacco.com a place where people can talk about anything, including life, and not be afraid. Life. My dream was to provoke thought, interest and ideas in the impossible, no matter how improbable those ideas may have appeared to be. Unfortunately, something has taken precedence in my life. The only thing I can say is for the next little while I have to look after my health. In the meantime, something has to suffer. I will attempt to continue writing my books. I will continue to think about the future, but I cannot continue writing the weekly posts. You have to know it is not something I take lightly to have come to the decision of stopping. Stopping is not something I do well. I am hoping the future will look brighter once I take care of what I have to do to carry on. It is like telling one of your best friends you can no longer be friends. As much as it is the wrong thing to do, it is absolutely the right thing to do. How can you tell your friend you are no longer kindred spirits? That is how it feels—like I have ripped my heart from my chest and thrown it into an abyss where nothing can escape. I plan to keep this site up during the time I am away. I am not sure when I will be back. I am hoping a few weeks. All I know is writing has been one of the most exciting and rewarding experiences of my life. I cannot say how honored I am to have had the opportunity to interact with each and every one of you. You certainly have made my life a joy to live. Nothing will ever replace that memory in my mind. Thank you so much for your incredible support. I really do love you all. I will keep you in my prayers. May God bless you in everything you do.